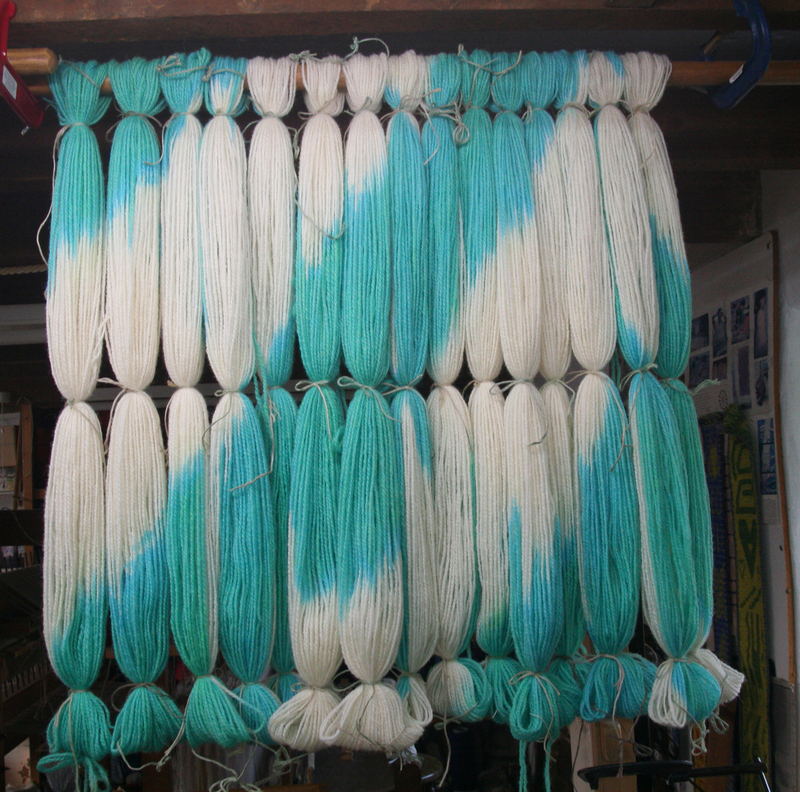 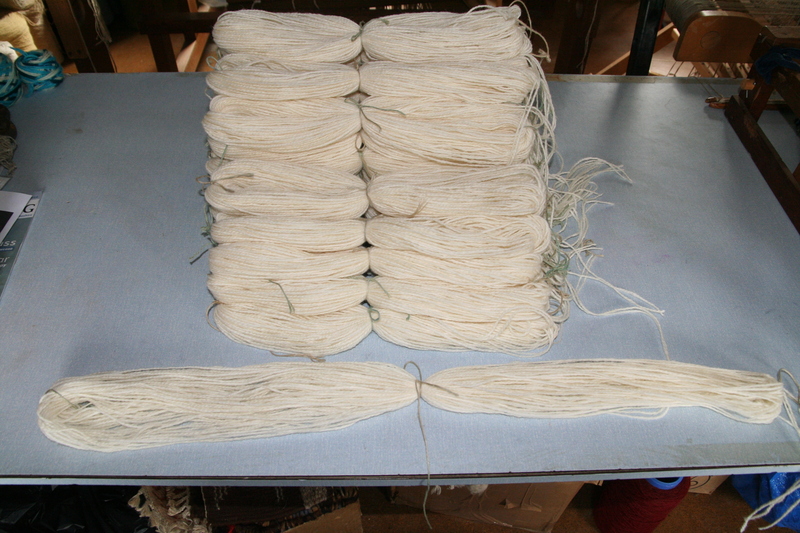 This page is under development and will give more details about Ikat dyeing and weaving methods. For now there is a series of pictures of a rug being made. 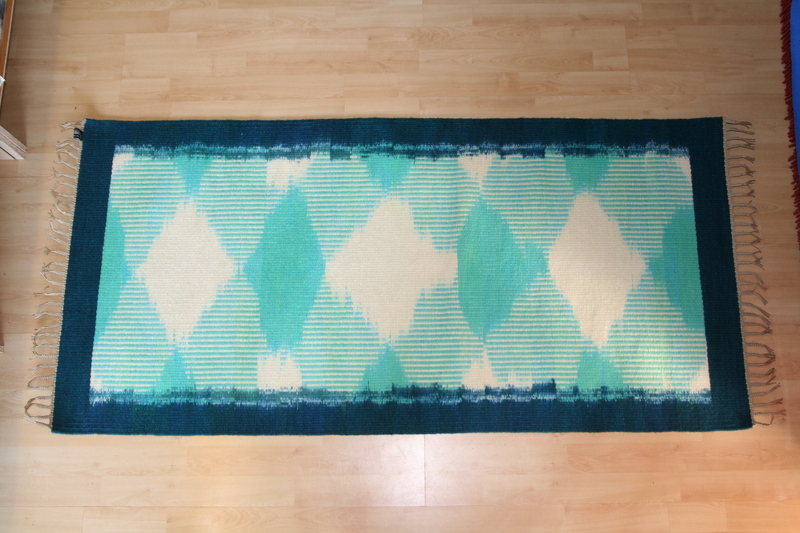 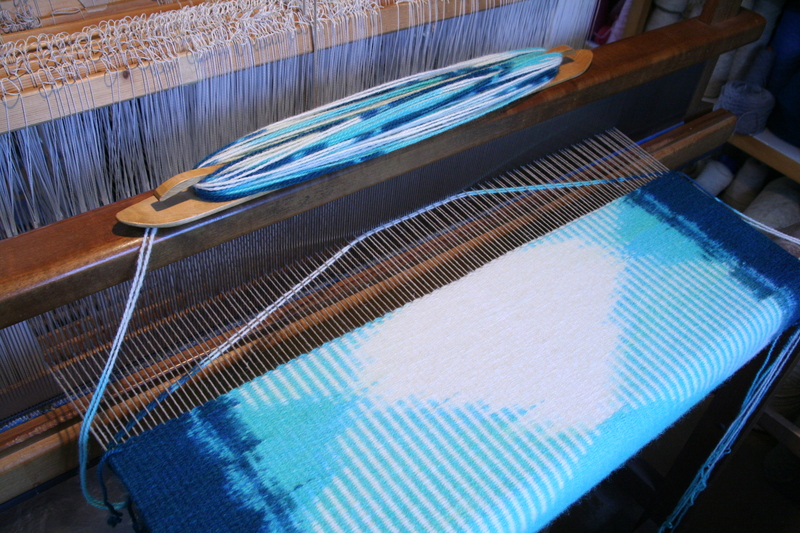 The technique is Weft Ikat and requires absolute precision in both dyeing and weaving or the pattern will not show. 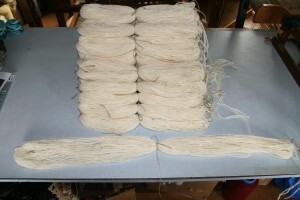 Hanks laid out and tied The hanks are folded in half and tied again to mark the boundary for the dye. 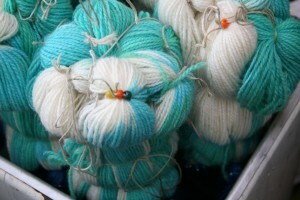 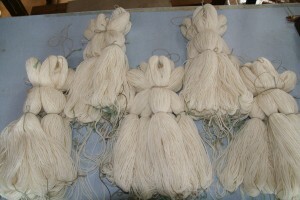 They are grouped into bundles to hang into the dye bath. 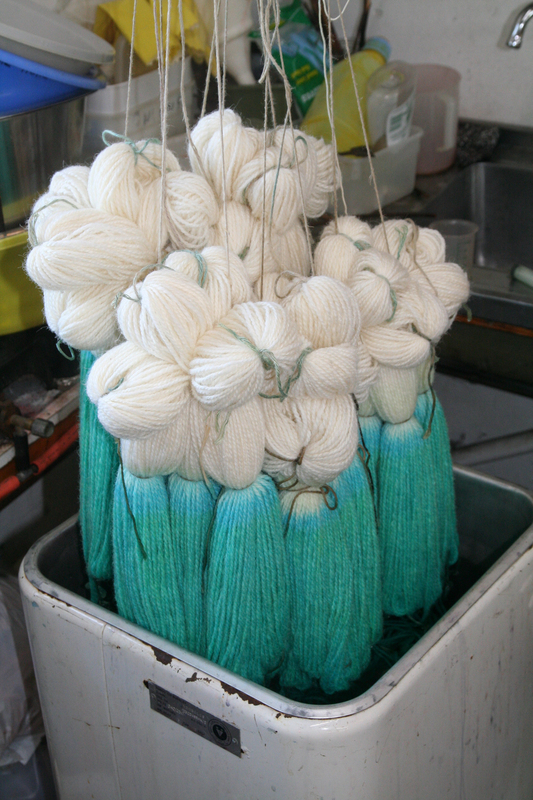 Coming out of the first dye bath. © Snail Trail 2019 | proudly built and hosted by SCL .